T here is a magical place on the south-western coast of Africa where tall, towering structures of windswept sand glide in graceful curves to meet a cold and mighty ocean. This place, where a desert meets the sea, is ancient and relentlessly beautiful and has been explored by the ever-curious human spirit for many years. If you grew up in Namibia you are sure to have many memories of clambering up a dune side, barefoot and excited. The soft sand between your toes propelling you upward to a crest that holds the promise of spectacular views over a magnificent landscape. Maybe you have been lucky enough to explore the dunes in some other way as well. In a 4×4 or on a quadbike? Maybe you have soared down the face of an especially tall one on a dune board, or perhaps you are even one of those ardent adventurers that has taken off from a dune on a paraglider. If you have ever visited Namibia and made your way to the quaint coastal towns of Walvis Bay or Swakopmund you may have hopped on the back of a camel and sauntered over this magical sandy landscape, or perhaps you went on a sundowner quadbike drive and watched the sun sink beyond the Atlantic’s far western horizon. If you have not yet been to our special corner of the world you clearly have a lot to look forward to. 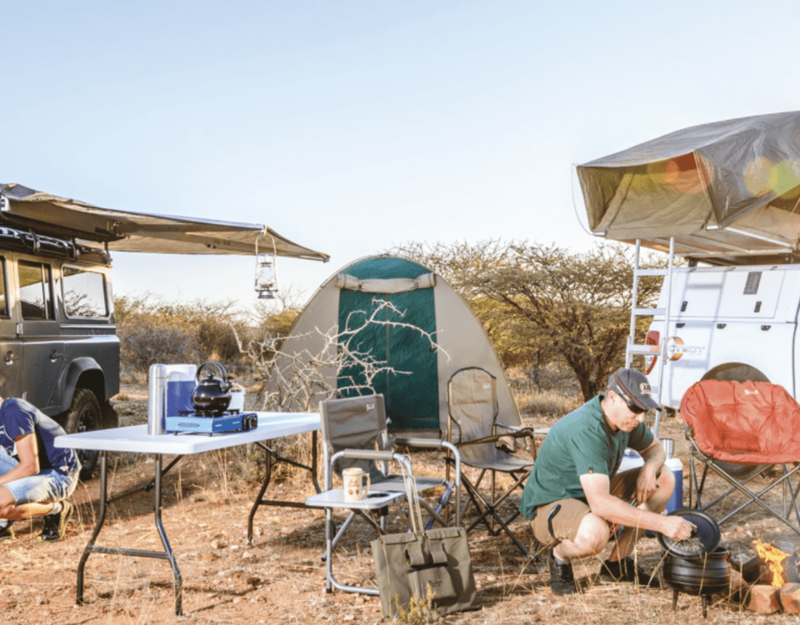 Whatever your previous dune experiences may entail, as spectacular as they may have been, whether you climbed or ran or motored or cruised up a dune, I have one question for you… Have you ever floated over one? 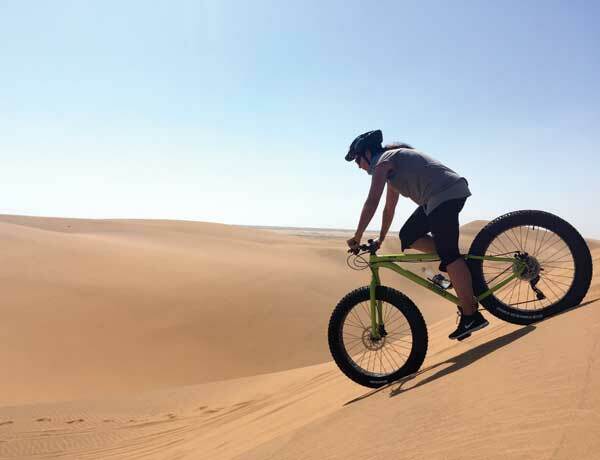 In the coastal town of Swakopmund, Mark De Wet and his sister Danielle, both of them mountain biking enthusiasts, discovered the wonders of taking to the dunes in a brand new and exciting way. 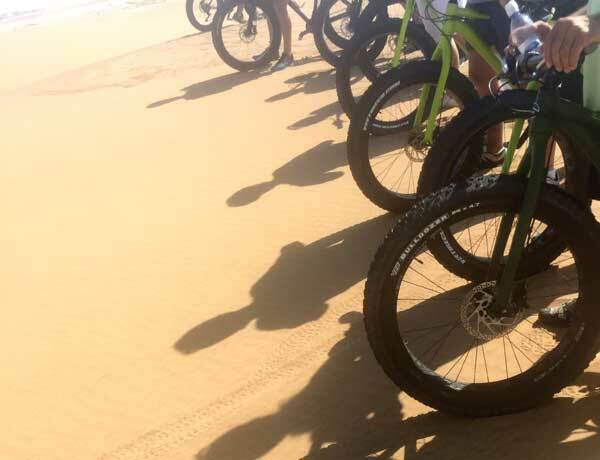 They made the acquaintance of the fat bike and recognised its ability to effortlessly glide over the soft sand of the Namib. They soon realized that this is an adventure worth sharing and in July 2015 they opened the doors of Swakopmund Fat Bike Tours and set up the bike racks outside the historic Altona House in Daniel Tjongarero Avenue, keen to show locals and tourists alike the marvels of taking to the dunes on these newly acquired wheels. Fat bikes afford adventurers and mountain biking enthusiasts a new opportunity to explore terrains previously inaccessible. I mounted my first fat bike on a sunny Tuesday morning this January. Along with a group of family and friends, with Mark as our guide, we set off on a two-hour desert tour. Our little convoy of “fatties” navigated Swakop’s quiet picturesque streets as we made our way to the Swakop River, our gateway to the dune belt that starts on the southern bank. As you cross the relatively hard ground of the dry riverbed, with the soft dunes looming ahead, it is hard to imagine how it would be possible to climb such a mighty heap of sand on a bicycle. Won’t we just sink in? The two hours ahead will surely be spent dragging a heavy bicycle behind you as you laboriously climb a mountain of sand, you figure. Yet, the second my big fat wheels tread the side of the first dune I instantly understood why this new cycling fad has become so extremely popular of late. It’s Physics 101 disguised as magic because the wide tread of the tyre allows you to glide effortlessly over the sand. Mark led us up along the ridges of the Namib dunes and down into the beautiful valleys that lay beneath. After each stretch of pedalling up the side of another dune we were quite out of breath, only to be left even more breathless by the view of the desert to the south, the ocean to the west and the lovely town to the north. After we had climbed our first dune, Mark taught us how to float, which we quickly learnt was by far the best way to descend any giant heap of sand. Floating entailed lifting our bums off our seats and heading straight down the face of a tall dune. The speed and the lightness makes it feel as if you are flying. It’s effortless fun and pure joy to float down a dune face. Just be sure to keep your wheels straight and remember the all-important rule: don’t brake! A little slip won’t send you to the ER though… a fall is quite soft and sandy. Exhilarating, breathtaking and unbelievably fun. I am surely spoilt for all future dune adventures, because few things come close to floating across the Namib. Fat bike touring is the most ecological way to explore the desert’s delicate habitat because there is no noise or air pollution and the tyres’ wider contact area means that the tracks are far shallower than even footprints. 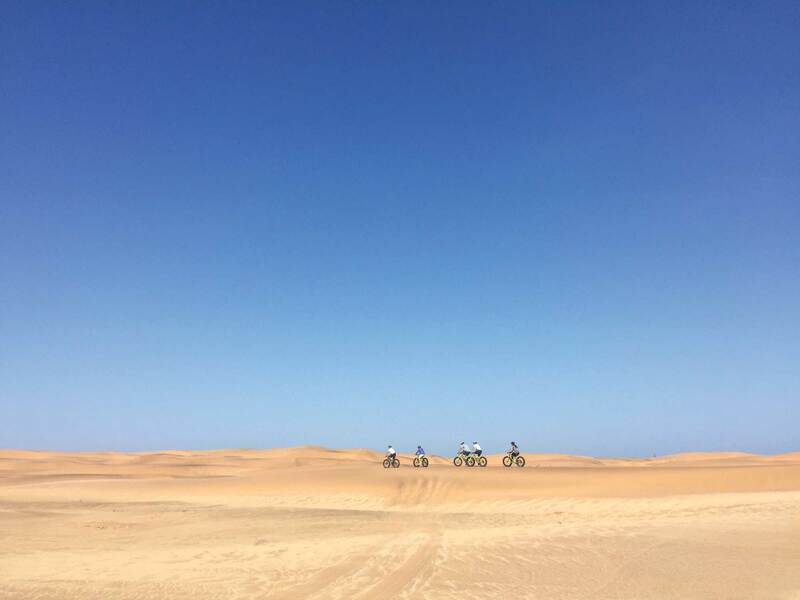 An intermediate fitness level is recommended for this tour, although the guides structure each trip around the physical capabilities of their guests so that even the not-so-fit can be dune adventurers for a day. Tours depart daily from 8 Altona House, Daniel Tjongarero Avenue, in the town centre, at 8h30, 11h00 and 14h30. 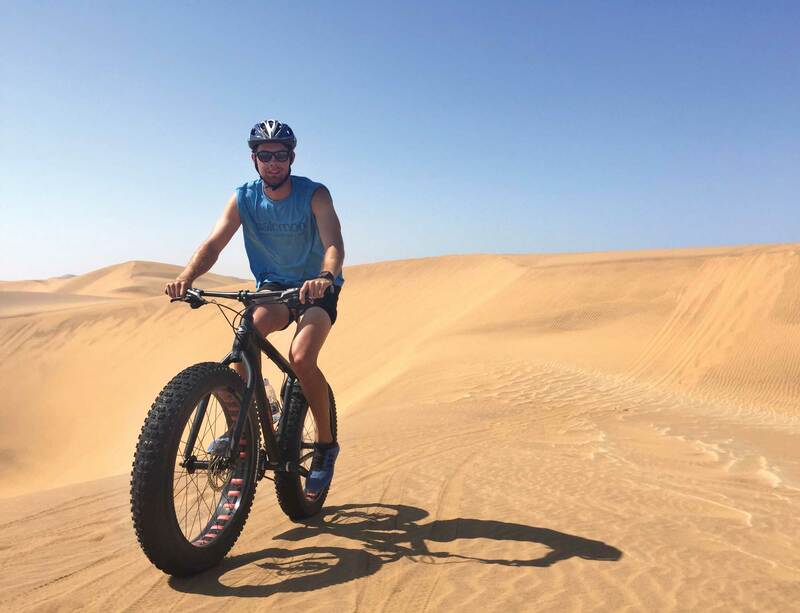 You can choose between three different adventures: the Scenic Desert Tour, the “Old city” Swakopmund Tour or the Low-tide Beach Cruise, or you can rent a fat bike or city cruiser for the whole day! For bookings and more information visit www.swakopfatbiketours.com or keep an eye on StayToday for special deals at www.staytoday.com.na.